This is the Star Wars: The Empire Strikes Back Teaser from 1979. 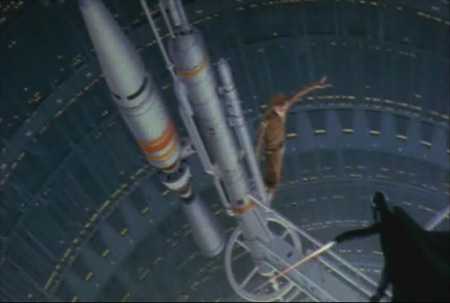 This teaser used pre-production artwork from Ralph McQuarrie instead of live-action sequences as the scenes were not ready at that time. The Empire Strikes Back Trailer was released on August 15, 1979. Star Wars fans got their first real taste of the The Empire Strikes Back when the first live-action trailer premiered with the second re-release of Star Wars that summer. 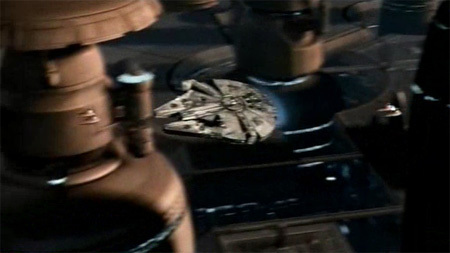 The 90-second preview, which was touted on the blue and red Star Wars posters printed for this release, was actually the second Empire trailer produced, but the first to showcase footage from the film (the first was merely a teaser with concept art and still photos). 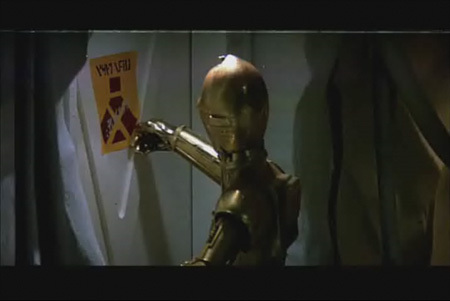 Narrated by Harrison Ford, the trailer contains a few noteworthy gems, such as the famously cut "Threepio ripping the sign off the door" shot. Originally, the invading Imperials were to enter the door, sans warning sign, to be subsequently attacked by a pack of angry wampas. The sequence was ultimately cut from the film, but not before this small hint of its existence was forever immortalized by the trailer. 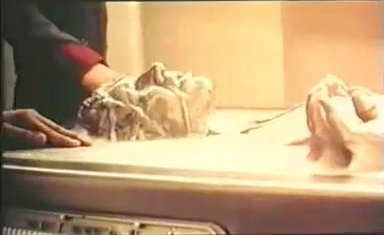 The Empire Strikes Back-Special Edition Trailer was the second in a series promoting the re-released Special Editions of The Empire Strikes Back, and Return of the Jedi in 1997. There were just a couple of hints to the changes, because The Empire Strikes Back had not been altered as much as A New Hope.